When starting your projects, one of your first steps is assessing the tools you have at your disposal. From the reactants to the plates, each item’s specific features contributes to a successful experiment. To determine the right plate for your project, many features need to be considered; everything from the color of the plate to the type of treatment applied to the plate affects the out come. BrandTech has simplified this process by offering a variety of plates, all categorized by their applications. Below is a summary of the plate categorizations and the applications best suited for the plate. The pureGrade Brandplates have been optimized for most applications. These polystyrene plates have a non-treated surface and come both in non-sterile or sterile packaging. PureGrade plates are considered to be medium-binding; which means molecules will bind passively to the plate wall. The plates under the Immunoassay category are great for high-binding projects. These plates are made of polystyrene and are treated to bind with a specific type of molecules. 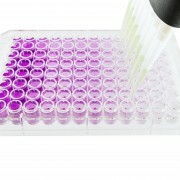 The cell culture plates are treated or coated to provide an optimal culture surface for various cell types. 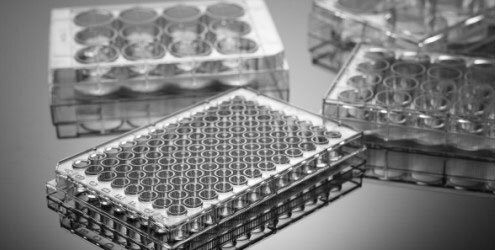 Sterile, polystyrene, plates are manufactured with specialized characteristic for your cell growing needs. The Right Plate at the Right Price! All of the BrandTech plates can be found in a multitude of colors, well volumes, and well bottom shapes. 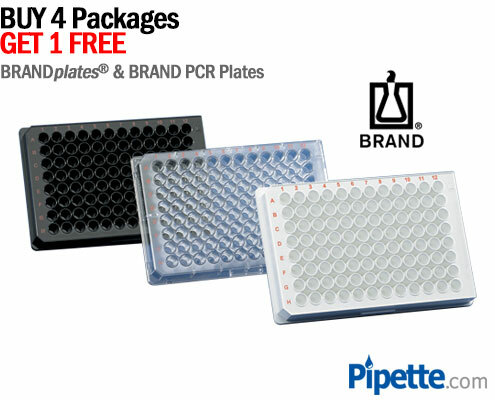 They can also be found at great prices at Pipette.com. 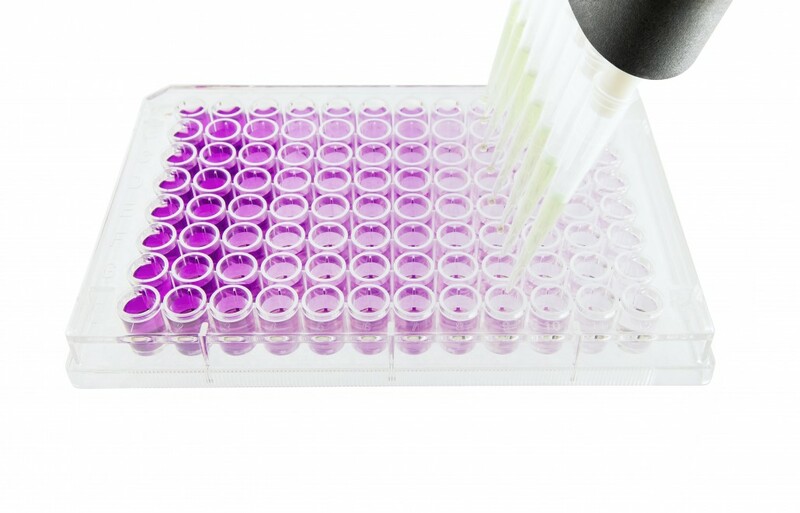 When using plates, it can be assumed that an enormous amount of pipetting will be done, this can be made easier with a Transferpette S Multichannel Pipette. 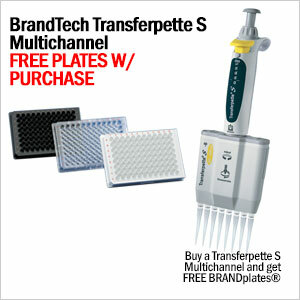 Free Case of BrandTech plates with the purchase of a Transferpette S Multichannel Pipette. Buy 4 Packs of plates and get 1 Free! If you have any questions or need help purchasing, please contact us by phone or email.